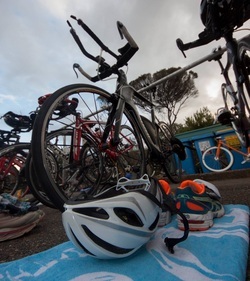 We are pleased to announce that WTC have plans and approvals well advanced to host a duathlon / triathlon series for next season at North Head, Manly. There will be an event each month from September '18 to April '19 as detailed here. Races are held to provide an opportunity for members and non members to meet other club members, race your mates, compare yourself against competitors on the same course through the season to gauge your performances. Members receive discounted entry fees, although we encourage other clubs, TA members and non TA members (day licences available on the entry portal) to come along and enjoy the beautiful North Head course in a friendly and safe environment to cater for all abilities. Races are electronically timed and full race results by segment published. Podium prizes, the series handicap award are up for grabs plus at every event we have lucky draw prizes and there will be a "win your club championship entry" for those who have entered the club champs and are racing. Free BBQ for all competitors, volunteers and supporters at every event. 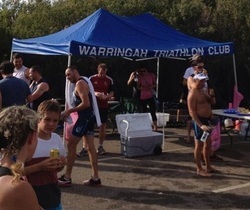 Each year, the Warringah Triathlon Club organises many events for it's members. Race dates for the current season can be viewed here.